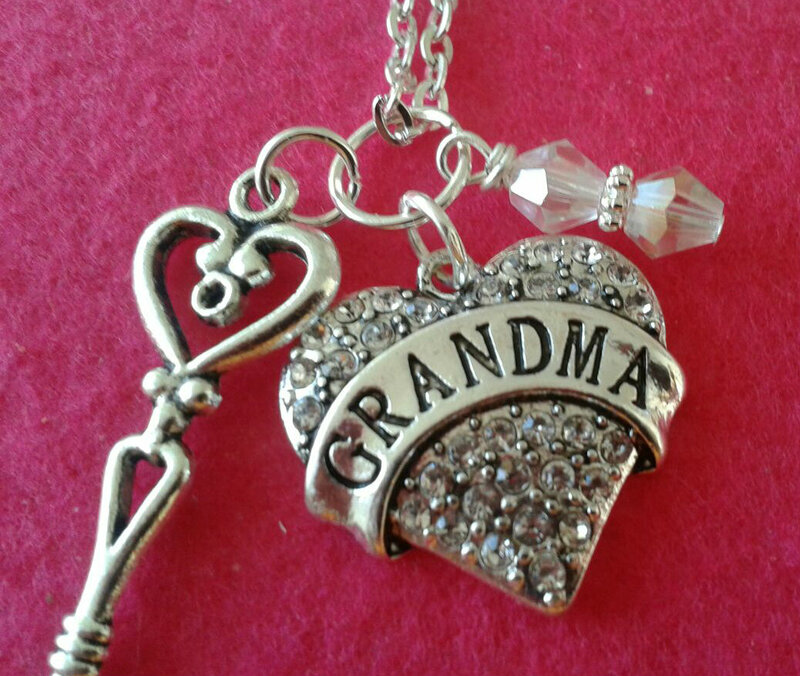 Beautiful way to show Grandma love. 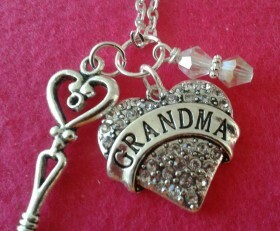 The heart has clear rhinestones, and Grandma on it, with a key to your heart charm and clear crystals. Simple, yet elegant. Choose from an 18″ or 27″ silver chain. Categories: A Little Bit of Everything, Family, Shop.